This section of the article on weird and beautiful lakes will reflect the pictures of puzzling beauty and dynamite grace of some of the strangest places on earth. These are the weirdest natural places on Earth, and we bet, by seeing this jaw-dropping side of nature, you will surely fall in love with these places. 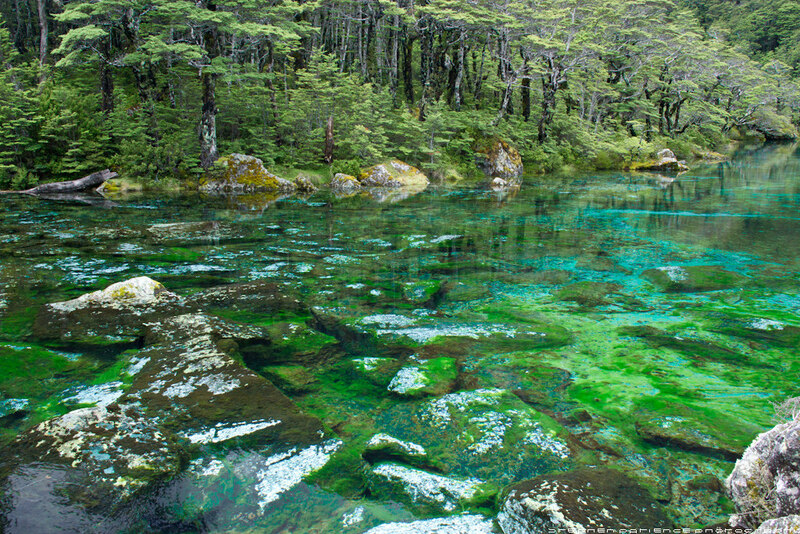 Have a look at the cool and unusual lakes in the world. 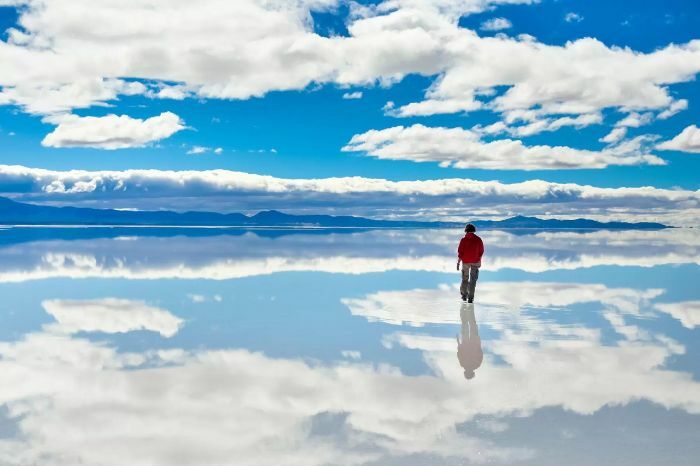 Bizarre Thing: This is the world’s largest salt pan. 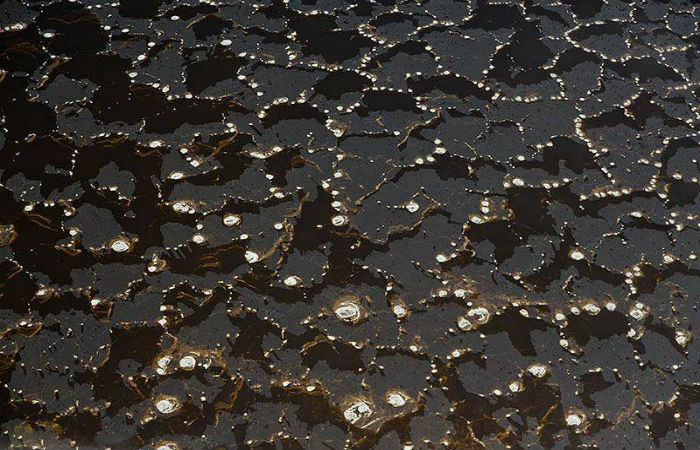 And when a thin layer of water forms cluster on the surface then it is also the world’s largest natural mirror. 2. Lake Natron- Petrifying Lake – one of the most unusual lakes which turn into statues and idols! Site: Tanzania, borders Kenya and Uganda to the North. Bizarre Thing: Animals who die in this African lake turn into idols or statues through the calcification process 9the process of change into a stony substance by deposition of lime salt). The presence of a large amount of sodium bicarbonate is the main factor of turning the dead bodies of animals into mummies. 3. 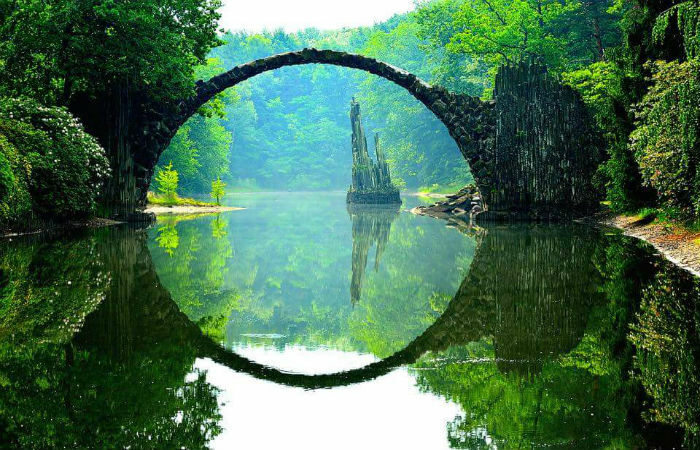 Die Rakotzbrück or Devil’s Bridge – One of the world’s most beautiful lakes lies in Germany! Bizarre Thing: With its uncommon construction accuracy, the bridge has gained enough fame and the reflection of bridge-shaped in a semi-circle merges into a complete and perfect circle. The best thing is no matter where you see it. A little bit frightening! 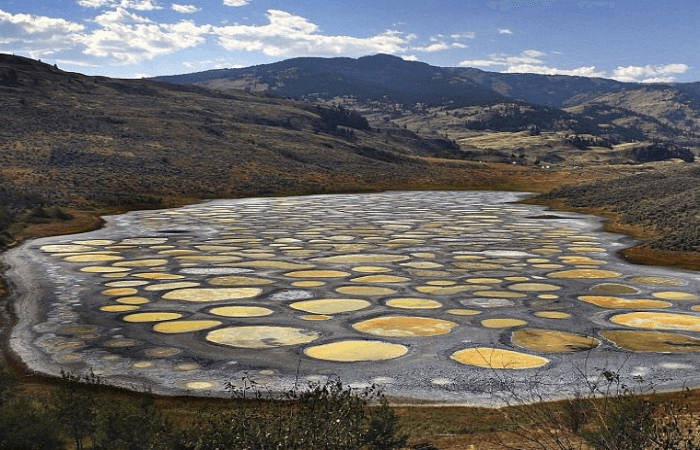 Bizarre Thing: The world’s largest mineral lake is Spotted lake Khiluk; Each of these 365 spots has a unique chemical composition and is said to cure various diseases. It is undoubtedly one of the best weird places in the world. 5. Lake Berryessa Glory Hole (California) – One of the largest lakes in the world generates hydroelectricity. Bizarre Thing: In Napa County, California, Lake Berryessa is the largest lake. It is a very special lake as it generates hydroelectricity to the North Bay region of the San Francisco Bay. What makes this lake unique is the bell-mouth spillway located at the south-eastern side of the lake. 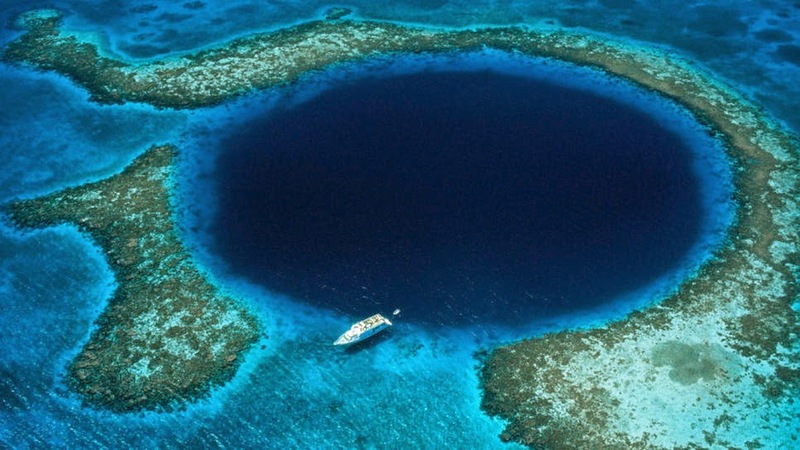 This “Glory Hole” is bizarre and Largest of its kind with a diameter of 72 feet. 6. Underwater park, Green Lake in Tragoess – One of the world’s unusual lakes is having an in-built real park! 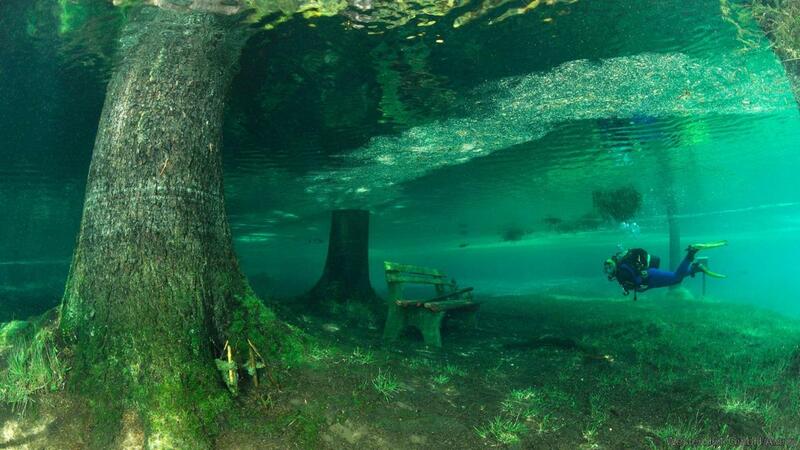 Bizarre Thing: This is not just one of the world’s most awkward places, but it is a real park which goes underwater during spring. All in all, the divers also need to rest and relax. Bizarre Thing: With the help of natural gases, the flame has its resemblance and it is fueled and thus burns bright right under a waterfall. 8. Caño Cristales – Rainbow river in Columbia. Bizarre Thing: In the season of summer, this river in Colombia turn its color into a red one. In fact, the riverbed is covered with a unique species of plants, and this is what turns red. 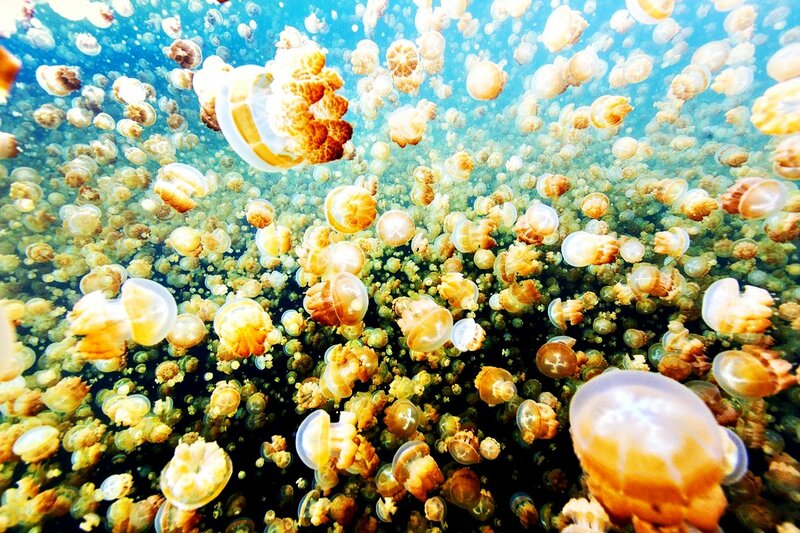 It is one of the most mysterious places on earth underwater. Bizarre Thing: This lake is a chock-full of harmless jellyfish. Bizarre Thing: In between the never-ending whiteness of the snow, this sort of Blood Falls gives you a scary shake. 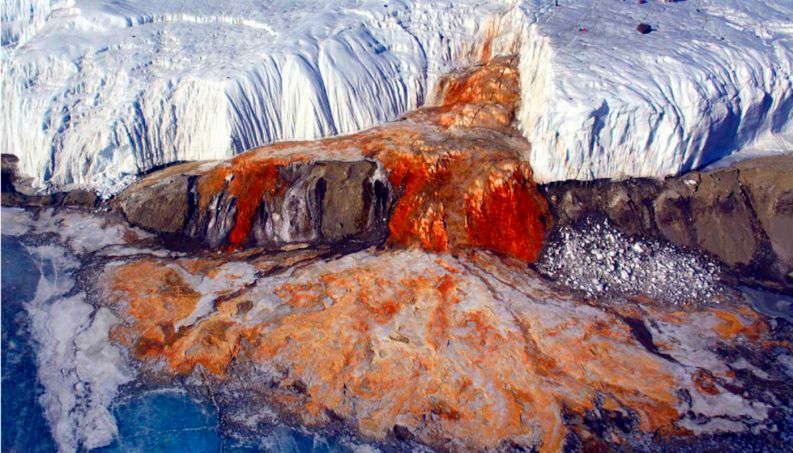 The redness in water is due to the presence of massive amounts of Iron. 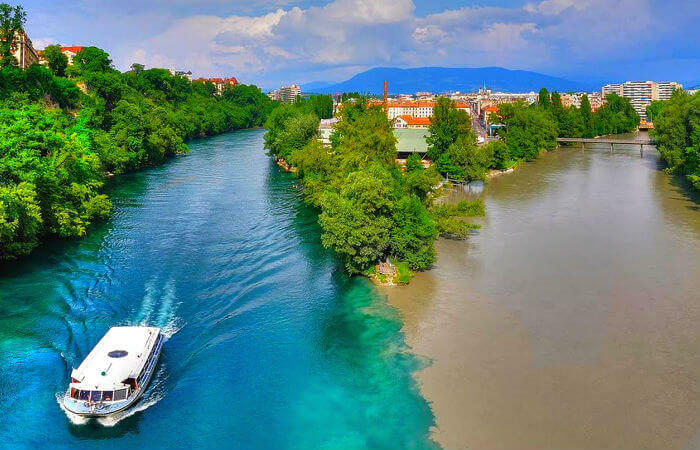 Bizarre Thing: There is a defined and a visible contrast in colors between these two rivers of Switzerland; one is blue and the other brown. Due to differences in density, they do not mix completely. Bizarre Thing: Regarding the fact that this lake is so clear that you can see all the way down, and cannot even see or recognize the depth. Bizarre Thing: A mammoth natural submarine sinkhole! The amazing thing is, no one knows the depth. 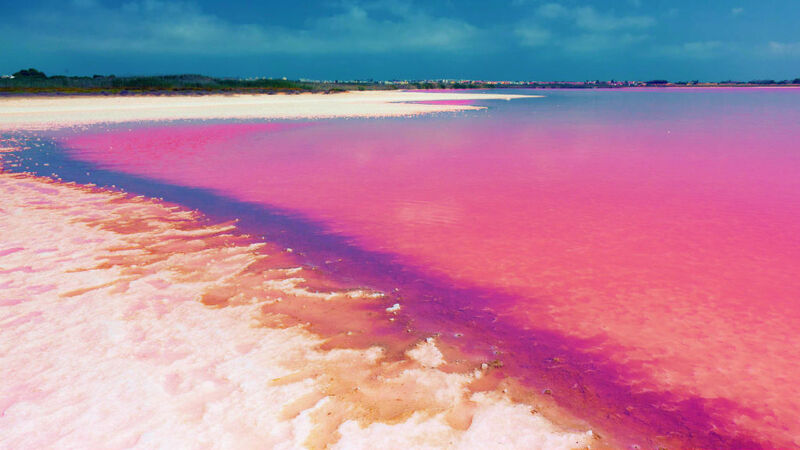 Bizarre Thing: A lake in pink color! That’s what makes this lake weird. The pinkness in the lake is because of the presence of certain planktons and minerals. 15. Mt. 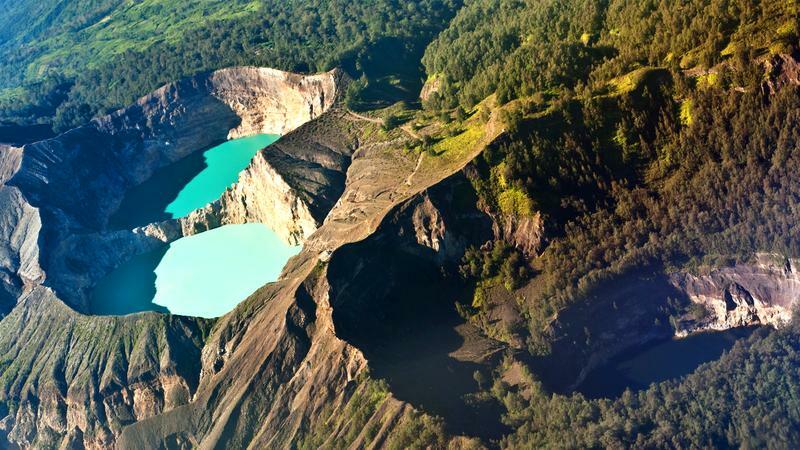 Kelimutu – One of the world’s strangest lakes consists of three different colors! Bizarre Thing: As a result of volcanic eruption, this wonderful place is the center of attraction to three disconnected lakes and all of them are of different colors – black, blue, and turquoise. 16. Ruby Falls – Known for its purple water! Bizarre Thing: A 145-foot-high underground waterfall, which is been exposed to light to make this beautiful purple color. 17. Marble Caverns of Carrera Lake – Found in Chile, one of the most bizarre lakes around the world. 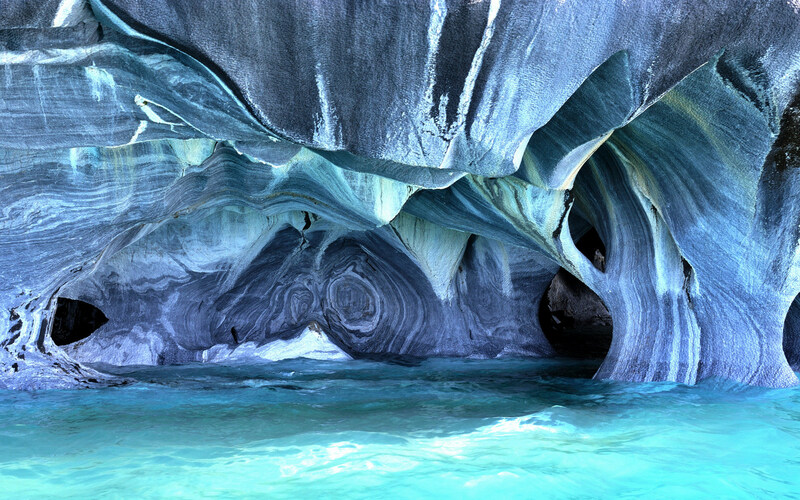 Bizarre Thing: Carrera lake has indescribably smooth and chilly caves of marble. The water is clear enough to look deep down to the bottom.